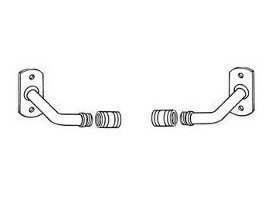 Gooseneck bracket rod holder for an old fashion antique look with rounded return. Brass finish. This model has a 1 inch clearance. 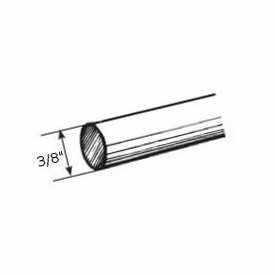 Use with 3/8" diameter rods, 7002-12-063 or 7003-12-063. Priced by the pair.